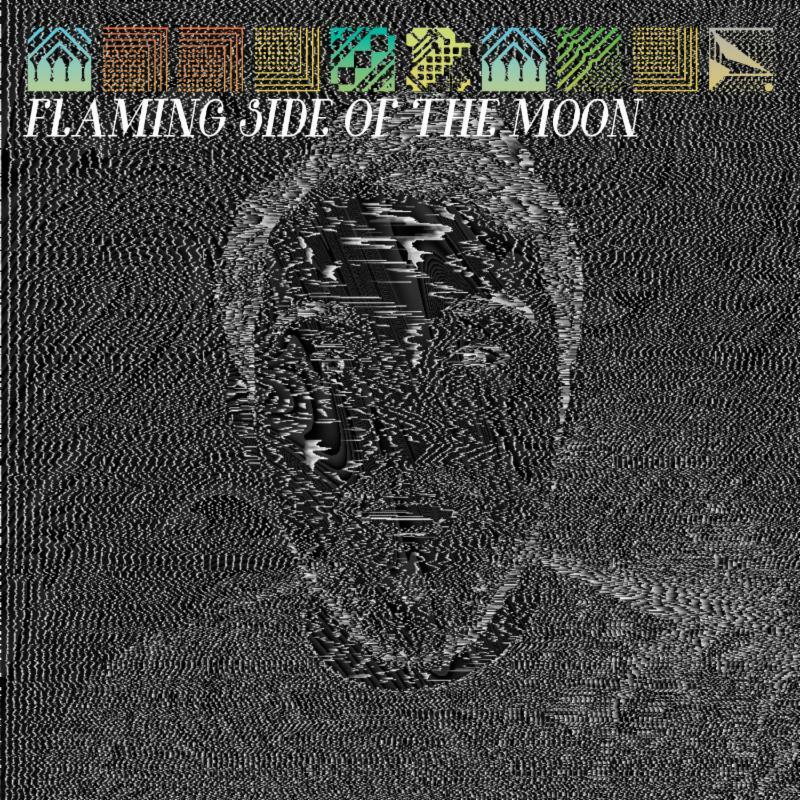 MUSIC NEWS - THE FLAMING LIPS again explore the rich world of PINK FLOYD with their new digital release, FLAMING SIDE OF THE MOON . Designed as an immersive companion piece to the original 1973 classic rock album, The Dark Side of the Moon , you're encouraged to listen to the new LIPS album while listening to DARK SIDE at the same time. FLAMING SIDE OF THE MOON was also carefully crafted to sync up perfectly with the classic 1939 film, The Wizard of Oz. For ideal listening conditions, you're are encouraged to seek out the original Alan Parsons' engineered quadraphonic LP mix of DARK SIDE, but it will work with the album on any format. And, a limited edition one hundred vinyl copies of the album will be distributed to friends and family of THE FLAMING LIPS. MUSIC NEWS- The Blues/rock trio the North Mississippi Allstars are planning to release a series of digital singles throughout 2012, the first of which became available for download via iTunes and the band's official website. Some of the singles in the series will feature special guest appearances and some will be accompanied by a music video. The first single in the series is the barn-burner "Rollin' n Tumblin'," a cover of the traditional blues classic. The choice for the first release was a natural one for the band -- "'Rollin' n Tumblin'' is an ancient song," says guitarist/vocalist Luther Dickinson, "When my friend Scott Baxendale handed me my first canjar (coffee can guitar) DURING a show, I plugged it in straight away and started playing 'Rollin' n Tumblin.'" iTunes Biggest Song of 2010? Train's "Hey Soul Sister"
MUSIC NEWS - In case you wondered, the biggest selling song of 2010 in the United States on iTunes is Train’s ‘Hey Soul Sister’. The tune, from the band's ‘Save Me San Francisco’ album was released in October, 2009. And, as of November 1, 2010 it's sold over 4.6 million digital downloads and has become the most downloaded song of all-time for Sony's Columbia Records. Helping it's popularitiy, the song was featured on several TV shows in 2010, including ‘CSI NY’, 'Hellcats' and ‘Medium’. Dixie Chicks did a cover of the song earlier this year during their tour with the Eagles. The song continues selling as a result of being covered on Glee recently (November 30, 2010) with Darren Criss singing. MUSIC NEWS - In commemoration the 25th Anniversary of We Are The World, United Support of Artists for Africa (USA for Africa) will re-release the 1985 historic recording of the song as the lead track on the upcoming digital compilation We Are The World / United In Song worldwide this holiday season, on December 7, 2010. USA for Africa has again assembled a stellar line-up of international performers to contribute songs to the project with proceeds from this effort going to assist Africa and Africans with the current challenges facing the continent. The collection of songs on We Are The World / United in Song was compiled by Executive Producers Suzie Weston and Alexia Baum and will be distributed by Independent Online Distribution Alliance (IODA). MUSIC NEWS - Andrew Bird’s Useless Creatures; previously only available with the deluxe edition of Bird’s 2009 album Noble Beast will release as a stand-alone LP and CD for the first time on Fat Possum Records on October 25. An instrumental companion piece to Noble Beast , the album features Glenn Kotche on percussion and Todd Sickafoose on double bass. to be minimal and repetitive without being insipid is the challenge.” Give a listen to the tune, Hot Math, below. MUSIC NEWS- Reacting to the continued growth of pirated digital music and the impact on the music industry, the French government has announced plans to offer a digital music deal to French citizens aged 12-25. The new plan will try to direct young people into a music buying habit through legal download sites instead of stealing it through file-sharing. The plan involves pre-paid cards that have a face value of 50 euros (£43) but which will cost only 25 euros at time of purchase. The French government will pay the other portion of the card value when the card is redeemed to buy music on a legal download site. The program is to last for two years with the French government expecting to sell about one million cards per year. That means an expected €50 million total expenditure by the French government to educate their youth about music buying! The European Commission has given the program approval saying that it is ‘well designed’ to fight illegal downloads with sufficient safeguards in place to help prevent “distortions of competition. MUSIC NEWS - Dale Earnhardt Jr. Jr., the music project started in Detroit, MI by Joshua Epstein and Daniel Zott, premiered the video for their single "Nothing But Our Love" recently, and has now announced plans for USA tour (current itinerary, more dates expected). "Nothing But Our Love," recently listed at KCRW as a "Top Tune," is off of their debut Horse Power EP, and is available on the Quite Scientific label. The video, below, was directed by Ian Sigmon, features the band living up to their namesake, as the sleepwalking duo dreams of a makeshift Daytona 500. Donning helmets and cardboard cars, they race to the finish line in the fashion of Fred Flintstone, feverishly fending off the competition. As they celebrate on the winner's circle, the pair's sleepwalking journey comes to a comical, if not a bit deranged, close. MUSIC NEWS - The Black Eyed Peas have recently made music history and given more proof of the widespread popularity of their tune, “I Gotta Feeling.” Their #1 hit tune has become the first song to reach the 6 million mark in digital downloads. "One at a Time," is available for download here, at iTunes. The song chronicles McCoy's journey as the spokesman for the Staying Alive Foundation, travelling to the Phillippines, South Africa, and India. And, 100% of the proceeds go to the MTV Staying Alive Foundation. And watch for first single from Travis' debut solo album, The Lazarus Project, coming in early 2010, as well as a new Gym Class Heroes album later in 2010. DEAD by SUNRISE New Single Here Now ! MUSIC NEWS - THE STRANGLERS lead guy, Hugh Cornwell is offering his new album, HOOVERTOWN to everyone, as a FREE download. The original vocalist, guitarist and main songwriter for The Stranglers just asks you to visit his site to get it. And, btw, the site can be viewed in twelve languages (English, French, German, Spanish, Portuguese, Arabic, Farsi, Russian, Mandarin, Turkish, Italian and Japanese), making his music freely available to most of the world’s population. Why make it available for free you ask? “Everything that’s ever been recorded or filmed is now online and free – whether the copyright owners like it or not, and any work of artists that is honest – either from decades ago or right now – has intellectual value that will always translate into monetary value,” explains Charles Kennedy, head of Invisible Hands Music, Hugh's record company. Hugh's new one is a great record, and one made without ProTools, AutoTune, or any other piece of performance-enhancing stuff. It comes from the heart of a true thinker, writer and musician, and should be shared. Physical copies will be available on vinyl and as a triple-sleeved digi-pak CD/DVD, which will contain Hugh’s film “Blueprint,” featuring live studio performance inter-spliced with an interview with Hugh at the Tate Gallery in London. Both Hooverdam and “Blueprint” were recorded in Toerag Studios with producer Liam Watson (best known for producing the White Stripes’ Elephant ). The music itself is a lively mix of rhythm & blues, rockabilly and post-punk and Hugh will bring it to the states next month on tour (see itinerary below). MUSIC NEWS - If you somehow missed the "leaked" RADIOHEAD tune last week, not to worry, "These Are My Twisted Works" was made available today (August 17) as a free download from their official website. "We've been recording for a while, and this was one of the first we finished," Radiohead's Jonny Greenwood said in a message posted at the site. "We're pretty proud of it. There's other stuff in various states of completion, but this is one we've been practicing, and which we'll probably play at this summer's concerts. Hope you like it." The much rumored new EP, which was supposedly coming out today, seems to be just that, a rumor. The band, which is currently without a record deal (by their choice). They released another song earlier this month, "Harry Patch (In Memory Of)," which was a charity single with proceeds for the British Legion. Britian's last surviving World War I veteran, Harry Patch died July 25 at the age of 111 ! The song was their first new music release since their 2008 self-release of In Rainbows . Get the new song @ Dead Air Space site ! MUSIC NEWS -The All-American Rejects have just released a four track EP of I Wanna Remixes (their hit single). The EP includes remixes by Blink 182's Mark Hoppus as well as DiscoTech, DJ Spider and Eli Escobar. MUSIC NEWS - With Mom's Day behind us, it's time to move on to Dads, and 429 Records has announced their June 2, 2009 release of a collection of songs (full track list after the break) newly recorded by the sons & daughters of legendary musicians titled, A SONG FOR MY FATHER. The 14 song set featuring artists such as Salvador Santana, Devon Allman (Honeytribe) , Gunnar and Matthew Nelson, A.J. Croce, Ben Taylor, Sarah Lee Guthrie and others offering up a moving interpretation of their fathers' classic songs. The offspring offer a unique and intimate spin on familiar material made famous by their legendary dads in new performances connecting great songs between two generations. A SONG FOR MY FATHER offers a rare insight into the songs and the people who created them as they've chosen tracks with a particular meaning. A SONG FOR MY FATHER will be available exclusively through iTunes in time for Father's Day. RAY CHARLES Records Go Digital on April 7th ! MUSIC NEWS - One of the most requested song collections among digital music buyers, Ray Charles’ post-1960 catalog will finally go digital ! Starting April 7th, iTunes will have a two-week exclusive on the catalog of 28 albums; they'll then be available at all digital music shoppes. Ray Charles’ post 1960 music catalog was one of the most treasured and highly requested catalogs that had been unavailable digitally. These masters include such iconic recordings as “Georgia On My Mind,” I Can’t Stop Loving You,” “Hit the Road Jack,” “Busted” and “Crying Time” among many others. On April 7th, Concord Records also releases a 21-song anthology of hits titled Ray Charles — Genius: The Ultimate Ray Charles Collection. The volume presents his most influential recordings for the Atlantic and ABC-Paramount labels including 1954’s “I’ve Got a Woman” plus “Busted,” “Georgia on My Mind,” “Hit the Road Jack” and “I Can’t Stop Loving You,” concluding with his signature 1972 rendition of “America the Beautiful.” All are digitally remastered from the original tapes. Later this year, Concord will release several other Ray Charles reissues year including Modern Sounds in Country & Western Music, Volumes 1 & 2, The Genius Hits the Road, A Message From the People and Genius + Soul = Jazz & More.